Using the latest in neuroscience, author David Rock shows how it’s not only possible to survive in today’s overwhelming work environment, but to succeed in it –– and still feel energized at the end of the day, with a sense of accomplishment. As a business consultant, leadership coach, author and researcher, David Rock knows a little bit about the business mind. Although he is not a neuroscientist, for many years he has been studying the brain and how the latest in brain science can help people improve their work. His new book, Your Brain at Work, is the result of many seminars, surveys and interviews with dozens of top neuroscientists. 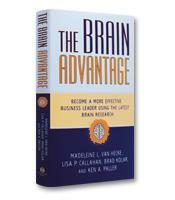 It is a book in which Rock explains the deep connection between how our brains function and the ways we can tap into the latest discoveries in the field of neuroscience to become more effective and efficient in our jobs. In Your Brain at Work, Rock not only describes the lessons he has learned from his studies, but he also applies that information to the format of his book and the way he formulates his delivery of the information he has gathered. For example, his research — and that of many leading scientists in the field of brain studies — has shown him that the brain can quickly become overwhelmed by too much information received too quickly. Keeping this lesson in mind, he taps into a few simple tools that help him share his discoveries. By applying those tools to the way he has written his book, the science he delivers is much more appealing to his readers’ brains than an avalanche of facts and statistics. One of the tools Rock uses is basic storytelling. By telling stories about the daily routines of a couple of fictional professionals, he presents his readers with many scenarios to which anyone can relate. By connecting his lessons directly to the decisions and actions of his realistic protagonists, Rock captures the abstract ideas from neuroscience and brings them down to earth. While developing and guiding his characters, he makes use of the idea that our brains can retain more information faster when we use visual stories to tack it to our memory. Another tool that can help anyone plan his or her day better and become more effective at work is the idea that our brains have a limited amount of energy. Rock explains that our capacity to make sense of our thoughts gets depleted over time as we engage in mentally challenging tasks. Since our brainpower is a resource that can easily be drained and our focus can dwindle when we are involved in difficult work for too long, we need to treat our mental energies as a limited resource, he writes. 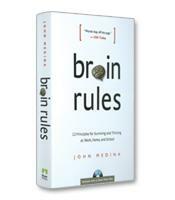 This means we should remember to put tighter controls on how and when we make our most brilliant decisions. Rock points out that complicated thinking can be very taxing. When we get to work, open our e-mails, and handle the vast variety of complex tasks involved in responding to those requests and demands, our brains can get tired. Once we have used up our early stores of mental energy with so much brain activity, we have less energy to focus on other important mental activities, such as prioritizing our day. Rock suggests that we should start our days by prioritizing our activities; then dig into the other complicated aspects of our work, such as dealing with e-mail. 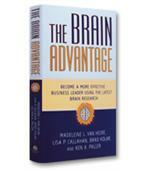 This way, the vital activity of prioritizing can get the best of our attention rather than the leftovers. With tips like these, and a multitude of fascinating facts and ideas gleaned from the cutting edge of today’s best brain science, Rock takes his two main characters through their days and guides them –– and his readers –– to a better way to get their work done. 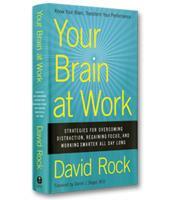 Rock’s compelling research and humorous delivery make Your Brain at Work a highly entertaining and informative guide to improving work and life.